Losing a tremendous amount of weight might look like a dream come true. But the fact is that in most cases, excess fat is traded for excess skin. When a patient undergoes dramatic weight-loss, there is usually loose skin in the face, arms, breasts, abdomen, buttocks, and thighs. A lower body lift is an operation that addresses the laxity of skin and excess fat in the abdomen, waist, hips, outer thighs, and buttocks. It can be combined with an inner thigh lift for total lower body rejuvenation. A lower body lift procedure is more than cosmetic surgery for a bariatric patient. It is part of a “new me” plan. It is an endorsement and affirmation of a final chapter in a long road towards self-improvement. A ‘crowning glory’ moment after taking huge risks, suffering major setbacks, and finally achieving a body that was once felt to be only a dream. A body lift will provide a firmer appearance throughout the body with no more lose skin. Clothing will fit better, and most patients go down in clothing size. While there is some scarring involved, these scars are placed in inconspicuous areas whenever possible and will flatten and fade over time. Body Contouring can significantly improve the self-image, self-esteem and quality of life of weight loss individuals. A complete 3-D body lift raises the buttocks, tightens the outer and front of the thighs, and achieves a flat, tight, and contoured abdomen. 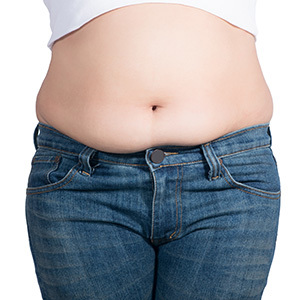 During this procedure, the right and left abdominal muscles are brought together with strong permanent sutures, achieving a flat and tight tummy with an “hourglass” shape. Excess skin is removed all the way around the body, which also achieves a fantastic lifting of the buttocks. The cellulite or skin dimpling and laxity are virtually eliminated from the outer thighs and the front of the thighs with results extending all the way to the knees. The inner thighs are addressed, if needed, usually in a second setting with an inner thigh lift. This can be either in the pubic thigh crease or vertically to maximally improve circumferential thigh skin tightening. This type of body lift addresses the mid-section of the body, including the flanks, outer thighs, buttocks and lower abdomen. An incision is made across the lower part of the abdomen down to the inner thighs. Loose skin will be removed and the remaining skin will be tightened, giving the lower section of the body a greatly improved aesthetic. Lower body lift is usually performed under general anesthesia. Mid-body lift is very similar to lower body lift; however, it incorporates the stomach region in addition to the buttocks, flanks, and thighs. Incisions are made in the lower abdomen down to the thighs, and then excess skin and fat is trimmed away. In addition, the muscles in the abdomen are tightened, creating a tauter stomach-region and giving the waistline a more physically fit appearance. Mid-body lift is also performed under general anesthesia. A total body lift is designed to eliminate extra fat and loose skin from virtually every area of the body, including the abdomen, thighs, buttocks, arms, flanks, and breasts. 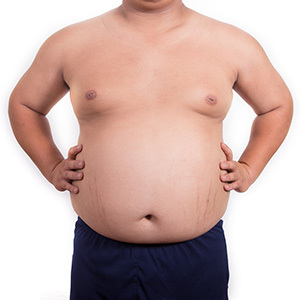 An incision is made around the entire circumference of the body, and then excess skin in areas in the mid and lower body is removed and the remaining skin is pulled taut. Similar techniques are then performed on the arms and breasts. A total body lift is a complex procedure performed under general anesthesia, and patients should expect a longer recovery period than those of lower and mid-body lifts. One common technique of complete lower body lift uses incisions similar to a bikini pattern to tighten the abdomen, groin, waist, thigh and buttock in one procedure. A circumferential incision around the body removes an apron of excess skin and fat and repositions and tightens tissues. 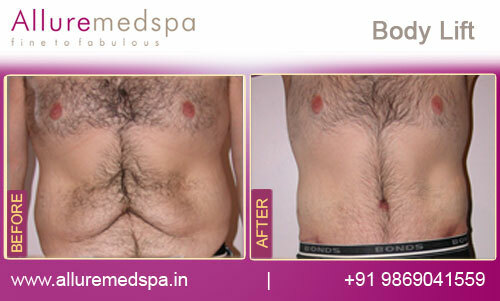 Allure MedSpa Clinic is the premiere go-to clinic for a Body Lift Surgery in Mumbai. At Alluremedspa, Dr. Milan Doshi and his staff take great pride in dedicating themselves to achieving optimal results that will leave your body looking and feeling rejuvenated. Dr. Doshi is a board certified Plastic and Reconstructive Surgeon with extensive experience in Post-Bariatric (or Post-Weight Loss) Body Contouring procedures. Considerably more than just skin and fat-removal, Body Lift surgery requires vast experience, artistic perspective, meticulous technique, and adherence to the very highest safety standards, Alluremedspa is the best place offering all of the above at an excellent value for money price. Since confidentiality and utmost privacy of our clients are our prime ethics, Alluremedspa is the most favoured choice of many celebrities for their corrective and cosmetic procedures Body Lift Surgery in Mumbai. Body lift surgery is usually performed under general anesthesia because it involves a large surgical area and can be extensive. Recovery times for body lift will depend on which type of procedure is performed. Lower and mid-body lifts typically require at least two to four weeks of healing and rest; total body lift procedures often require at least six weeks of recovery. Patients should expect some degree of swelling and bruising after surgery. Any discomfort can be managed with medication. After Body Lift Surgery you will have a tight garment over your mid-region. Swelling and bruising will be most noticeable after the first day and will slowly subside over a period of 2 to 3 weeks. It will likely take 3 months for all the swelling to resolve and for you to see the final results. During this period, you will need to follow the specific instructions that will be given to you regarding body position and physical restrictions to ensure your wounds heal in an ideal manner. The typical candidate for a Lower Body Lift is a formerly obese person who has achieved a more normal Body Mass Index (BMI) and is in relaatively good health, but is bothered by excess, loose skin. 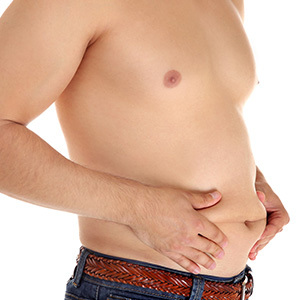 The procedure is also appropriate for non-weight loss patients who have similar concerns. If you have excess skin on your abdomen, sides, buttocks or thighs. Your surgeon will probably tell you to start walking around as soon as possible (to help prevent blood clots from forming in your legs), but to avoid more strenuous activity for two to four weeks. Any stitches will be removed in five to ten days or dissolve, and you should be back at work in 7-10 days, or as much as two weeks after your surgery. When you resume activity depends on the extent of your procedure, how you feel and what your doctor recommends. It is important that the surgical incisions are not subjected to excessive force, swelling, abrasion, or motion during the time of healing. Your doctor will give you specific instructions on how to care for yourself. Body lift surgery may be performed in an accredited office-based surgical facility, ambulatory surgical center, or a hospital. Prior to surgery it is important that each patient organizes their affairs and schedule, so that they can completely relax and rest throughout the first week after surgery. It is also beneficial to arrange to have someone for support and assistance during this time. During the second week after surgery, patients may begin to take care of themselves as they gradually progress their level of activity. Most patients will take 2 to 3 weeks leave from work, depending upon their occupation. However, most of your initial improvement should be relatively permanent. Lower Body Lift is a highly effective technique for giving you a new body contour. The results are permanent, providing you eat sensibly and exercise regularly and do not gain weight. Dr.Milan Doshi is an excellent surgeon. I recently underwent my first body lift surgery. I must say I am quite satisfied with the result. I would not consider going to any other surgeon now. I first met Dr. Doshi when I attended a seminar conducted by him. There I came to know about him and also met his patients, who were all praise for him. One of the patients told me that he feel like a human again. There I decided that I will visit him for my body lift surgery. I recently lost a lot of weight and has been left with a loose and saggy skin. It is really embarrassing as I am not able to wear my favorite dress. In the seminar, I had a small talk with him and I quite like the way he talked to his patients. He advised me to pay a visit to India. I am basically from Turkey. I have heard that surgeries in India are quite affordable and you get best of results. What I have heard is not at all wrong. After reaching India, I went to Allure Medspa and got admitted there. The surgery was a 2 hour long surgery. After the surgery, there was a little pain and swelling, however I could feel the difference. I have started feeling like a woman again. Dr. Doshi provided me with a compression garment, which I have to wear on a regular basis. However, I feel more comfortable in my skin and very happy now. Once more I have to come here for a follow up and I will be done with the procedure. I am looking forward to visit India again. Are there any risks involved in a Body Lift procedure? Lower Body Lift is a surgical procedure, and all surgical procedures carry some risks. Complications may include bleeding, infection, and fluid collections, which may lead to the opening of your wounds. Although unlikely, an injury to deep tissue layers can also occur, which may require additional surgery to ensure ideal results. More severe complications, such as Deep Venous Thrombosis and Pulmonary Embolism, are extremely rare. How is body Lift different from Liposuction? Liposuction removes fat; it does not tighten the skin or improve cellulite. A Lower Body Lift both tightens the skin and improves cellulite. For people who have excess fat deposits in addition to loose skin, Liposuction may be carried out during the Lower Body Lift surgery. Dr. Doshi is an expert at creating minimal scars during a Body Lift procedure. Regardless of the amount of excess skin to be removed, Dr. Doshi also always aims to place the incisions where they will be least visible. How soon can I resume my work-out? All patients should avoid strenuous physical activity for at least 6 weeks after surgery. It is recommended that patients recommence exercise slowly. A Lower Body Lift affects large areas of the body and it is important to allow these areas to heal properly. How long will it take to recover from a Body Lift? The body lift is a fairly invasive procedure, so it will take about 2-3 weeks for you to return to light work and activity. If your job requires more physical activity, you should wait about 4-6 weeks before returning in order to avoid any unnecessary complications or discomfort. Your body will experience some bruising and swelling initially after surgery. As your body heals, your shape will continue to improve and your scars will slowly begin to fade. Within a couple months, your body will look completely new, with the excess skin nowhere in sight and a smooth, beautiful figure in its place. Body Lift Surgery is a way to tighten up your saggy skin. After weight loss due to pregnancy or any other causes, your skin tend to look saggy and looses up. We at Body Lift Surgery removes the saggy and extra skin from your body parts by tightening the extra skin that is present. Is Body Lift a safe Surgery? Absolutely, it is a very safe surgery. There is no side effects at all. If any side effects are there, Dr. Milan Doshi will discuss about it during the consultation process. Dr. Doshi is a quite experienced surgeon and you will be on completely safe hands. Who are the candidates for Body Lift Surgeries? A person who has off late reduced excess weight from the body and the weight loss has left them with saggy and loose skin, can opt for Body Lift surgery. Pregnant women who have lost weight in abundance can also move ahead with the surgery. A person with a good skin elasticity can make the surgery a success. The surgery will help to regain your confidence once again. The Body Lift surgery is undertaken after considering your body type, age and skin elasticity. You might want lift in different parts of your body. Depending on the body parts, your recovery will take time. However, you will see immediate results after the surgery. You will have to be extremely careful for few weeks after the surgery and should take proper meals and keep on wearing compression garments for tighter look of your body. How much is the recovery time for Body Lift surgery? What is the cost of Body Lift surgery? For an estimate on how Body Lift will cost, we recommend you to call us on +919869041559 or fill an enquiry form so that we can contact you for detailed discussion.